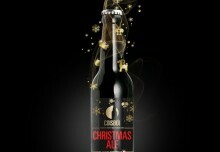 The Danish craft brewery Coisbo Beer continues the success in the spring. At Commonwealth Craft Beer Cup 2014 that was held in Kentucky, USA on May 15-17, Coisbo Beer once again made an impression. 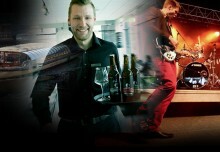 Brewer Anders Coisbo could bring home 1 silver medal and a total of 8 bronze medals. The weekend after the Commonwealth Craft Beer Cup, Coisbo Beer attended the Copenhagen Beer Festival, and won the award for best new Nordic Beer 2014. A competition to brew a new beer with ingredients from the Nordic cuisine. One silver medal and eight bronze medals! Single Batch Beer EIGHT, Imperial Pilsner, won the silver medal.